© 2018 Paramount Pictures(LOS ANGELES) — Mission: Impossible — Fallout star Ving Rhames is speaking out about a time he had to deal with racism, on his own front doorstep. 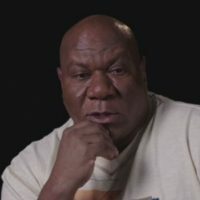 In an interview Friday with Clay Cane on SiriusXM, the 59-year-old actor explained that he was held at gunpoint in his Santa Monica home after a neighbor called police to report there was a “large black man” breaking into his house. Rhames said he and the officers went to that neighbor’s house across the street but they denied ever making the call. Though the situation ended quickly, Rhames said he understands the significance of the situation. “What if it was my son and he had a video game remote or something and you thought it was a gun? I don’t know, just like Trayvon [Martin] had a bag of Skittles,” Rhames said, referring to the unarmed black Florida teen who was shot and killed in 2012 after being confronted by neighborhood watch volunteer George Zimmerman. Mission: Impossible — Fallout debuted in first place over the weekend with a franchise-best $61.5 million domestically and $153.5 million globally.